Precision Learning provides a strictly quality-driven, more personalized soft skills, leadership development, and Business English training experience. Independent reports by McKinsey & Company and the Center for Creative Leadership rank exceptional training as a top necessity for today’s students and career professionals. Our programs and offerings vary depending upon the needs of your career or institution, and a selection of our training modules is below. To get started or to request a training proposal, please contact us for a free strategy session. Exceptional leadership development requires that two critical goals are met. Firstly, an exceptional program must work to forge leaders who can execute an organization’s strategy through building alliances, winning consumers and supporters, and augmenting the capacities of others to succeed, which is crucial to organizational success. Secondly, an exceptional program must find the cross between individual learner characteristics and what is best for the organization’s bottom line. Effective communication is a critical skill set for both leaders and team members alike. It can be a gateway to either success or failure – forging or fracturing interpersonal relationships, maintaining or detracting from problem-solving and team efficacy, and ensuring either the growth or diminishing of individuals and organizations. Individuals should be able to identify and avoid typical barriers in organizational communication, understand diverse organizational dynamics, apply best communication practices in either familiar or challenging situations, and understand and successfully implement the Five Cs of Effective Communication – clarity, conciseness, completeness, correctness, and consideration. Successful writing techniques can propel careers in the right direction, regardless of the industry. Crucial but often overlooked steps toward excellent writing include clearly identifying the purpose, audience, reader needs, reader expectations, and core message of one’s writing prior to putting the keyboard to good use. Conflict happens when individuals have different opinions, feel disrespected or not listened to, or mistake other’s intentions. To resolve conflict, effective communication and the ability to compromise justly are crucial. Ignoring differences has a negative mental and physical toll on a team, so knowing how to effectively resolve conflict forges far better team dynamics in the long term. In a constantly moving professional world, mastering the ability to manage time, maintain a consistently strong work ethic, and adapt to small and large changes in one’s professional and personal lives can pose a tremendous challenge. Ensuring the success of meetings and professional conversations requires tact and skill. Those conducting these conversations must be able to clearly identify purpose, establish goals, maintain respect and decorum, and ensure that the meeting meets its agenda. Accepting and addressing nervousness, understanding one’s audience, giving personal attention, using quality visual aids, staying on topic, and managing one’s time appropriately are a few of many factors that contribute to public speaking success. Even those to whom speaking in front of an audience seems to come naturally often overlook the most crucial elements of exceptional public speaking. Conducting quality research, practicing the Five C’s of Effective Communication, knowing one’s audience, taking advantage of one’s unique personality, telling stories, socializing, being concise, and using professional visuals are key to exceptional presentation giving. Just as important – having some fun with the presentation, too. There was a time when personal branding equated to a simple business card, but that time is long gone. With the rise of social media and the prioritization of the individual over the group, image has entered into every aspect of one’s professional and personal lives. Personal branding is simple: it is how one presents oneself in-person, online, and otherwise, and it is how one is thought of and remembered by other people. In our overly connected world, this can impact one’s professional success, the success of one’s workplace, and one’s private life in profound ways. The average resume gets about six seconds of review time from a hiring manager before a preliminary decision is made. It is therefore crucial to understand how to effectively produce content that will keep one’s resume in the “keep” pile. An exceptional resume requires several stand-out factors, including front-loading information, using keywords, spacing and organizing content appropriately, and among the most important – exhibiting measurable success in one’s professional or academic career. Interviews are not for everyone, but nearly everyone must undergo them if career success is an important factor in one’s life. To carry out an exceptional interview, one must know how to bring one’s personality to the surface, practice efficiently, conduct detailed research on the organization, master S.T.A.R. formation for the most effective answers, stay concise and relevant, ask appropriate questions, and know how and when to follow up. Emotional intelligence is the capacity to recognize and control one’s own emotions and the emotions of peers. Among the qualities of emotionally intelligent individuals is personal emotional awareness, the capacity to harness one’s emotions and channel them toward tasks such as reflection and problem solving, and the capacity to manage other’s emotions, which includes the ability to rationally motivate others toward calmness and productivity during a challenge or crisis. Quality networking techniques can help to vastly develop one’s career or grow a business. Networking is an acquired skill, and is undoubtedly not restricted by the extrovert vs. introvert dynamic. Nor does being well networked equate to having a large number of contacts on LinkedIn, because if there is no communication, what’s the point? Exceptional networking requires dialogue, the recognition that it’s a two-way street, that in-person conversation, where possible, is often more important than social networking, and that nurturing and maintaining relationships is key to long-term success. Culture goes beyond just race, ethnicity, or national background. It also refers to such characteristics as age, gender, sexual orientation, disability, religion, income level, education, geographical location, or profession. Cultural competence is the capacity to communicate and establish relationships effectively with people of different cultures. In an increasingly connected world, both individuals and organizations must be culturally competent. Establishing such competence is a gradual process that requires commitment to mutual respect and understanding. An exceptional Business English program, which varies significantly from a traditional ESL track, must help to prepare non-native English speakers for success in their academic and professional careers. This is done by focusing on strengthening English speaking, writing, listening, and reading skills for the professional world, while further expanding practical skills such as professional networking, public speaking and giving presentations, analyzing business publications, conducting meetings, interviews, and negotiations, writing persuasively, and other critical proficiencies. ccording to McKinsey & Company, 500 top executives surveyed about their priorities for candidates for employment ranked soft skills and leadership development – Precision Learning’s primary expertise along with Business English – as a top three priority that must be adequately addressed. 30% of US companies admit that they have failed to exploit their business potential because they lack enough leaders with the right soft skills and leadership capabilities. A full two-thirds rank soft skills and leadership development as their number one priority for executive team and employee development. 93% of senior managers surveyed believe that their employees are not as sufficiently skilled and effective as required in these areas. 65% of companies with mature leadership development programs drove improved business results as compared to 6% of companies without such a program. 86% of companies with mature leadership development programs responded rapidly to changing market conditions whereas only 52% of companies with immature programs were able to do so. But why do so many training initiatives fall short? They fail to look at the unique context of the trainee, including their social style, personality type, learning style, communication style, culture, gender, and generational difference. They fail to implement kinesthetic learning, focusing on concept reflection at the expense of real world training. They fail to understand a student’s pre-program mindset and innate challenges. For example, some are visual learners while others are auditory learners. They fail to reasonably set expectations, to create milestones, and to measure results. Recognizing the most common mistakes made, how do Precision Learning’s programs stand apart? Precision Learning works to build camaraderie, synergy, and identify strengths and weaknesses as a priority to ensure measurable progress. 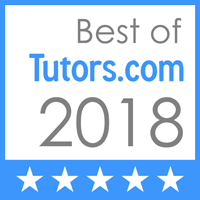 Our Instructors work diligently to approach each student individually so as to identify skill challenges before they overwhelm or hinder the student’s academic and career progress. We work to identify gaps in student advancement so as to positively impact our client’s bottom line: inspiring students and employees to go the extra mile and best maximize their potential as ambassadors of the university or company that they represent. We embrace the importance of context and student mindset when delivering our programs. We separate between the instructional approach to the student’s regular coursework or standard HR employee training and our training. Precision Learning’s training is immersive and personalized in a way that most academic institutions and companies simply do not have the bandwidth to execute. We utilize impactful activities, competitions, and excursions for practical application that tie in to our lessons’ goals at various levels. Our classes are immersion-style, interactive, and incorporate “hands-on” use of skills, which is six times more likely to be absorbed than with lectures alone. We work diligently to determine pre-program conditions and post-program results by providing assessments at the beginning and end of any program. What we instill into each trainee matters. We build Emotional Intelligence to help trainees focus on their academic and career priorities. We strengthen Communication Skills and inspire our trainees to take action based on the constructive vision that we set forth together with the sponsoring university or company. We work on Character Development, including integrity and authenticity. We work to establish Life-Long Learning in our students, aiming to inspire consistent studying, growth, flexibility, and personal development. The bottom line matters, too. We ultimately aim for more confident and skilled students and employees who are more prepared to take on their next steps, open communication with our partners, and a lasting collaborative partnership. We do not operate within the traditional client-company business relationship framework, so please consider us to be an ally to and complementary piece of your program, an important segment of your holistic vision, and a strong part of your team. While the logistics of partnering with us are minimal, the partnership that is built is incredibly beneficial for students as ambassadors of their university, for employees as representatives of their company, and for our client’s ultimate bottom line. Give us your wishes and expectations, and let us help you build the path to unprecedented levels of success.